Whether planning a weekend away on Merseyside or are in the area for business, one of our Novotel hotels in Liverpool city centre is perfectly located to get about with ease. 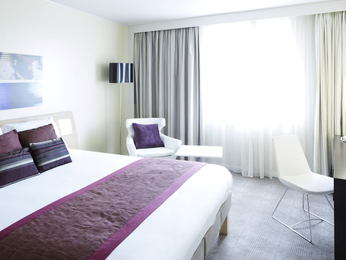 Situated minutes from Liverpool Central station, our Novotel is well suited for a city break with the family; your children staying for free throughout your stay, is a standard feature across all Novotel hotels. And what’s more, there are plenty of things to keep the little ones occupied during your stay in the North West, too. Sing along with the Fab Four at The Beatles Story – the world’s largest permanent exhibition dedicated to Liverpool’s famous sons. Or if you don’t have a full day to spare, just spend a few hours in the Albert Dock area. For those of you on the hunt for culture, take a trip to Tate Liverpool and soak in the contemporary and fine art, with works by the likes of Tracey Emin and Francis Bacon in the gallery’s permanent collection. If football is more your thing, you can visit Anfield’s legendary Kop stand on a tour of the stadium, or take in an Everton game at Goodison Park; one of the world’s oldest purpose-built football grounds. Finally, no trip to the area is complete without walking along the famous waterfront to see the Royal Liver Building. The iconic symbol of Liverpool, at the time of construction in 1911, was the tallest building in Europe, but now makes up one of the city’s Three Graces landmarks – alongside the Port of Liverpool Building and the Cunard Building.